How to marry for your career. Ambitious men and women want the same thing. But women probably won’t get it. Ambitious men and women want more or less the same thing. But it seems that if you are a woman,you won’t get what you want – unless you are prepared to “marry down”. A survey of Harvard Business School MBA graduates (just about the most ambitious people in the world) found that men and women are equally interested in work-life balance. They’re just as likely to want fulfilling and stimulating careers, and women are even more likely than men to want “opportunities for career growth and development”. But while men and women had similar priorities, of the 25,000 graduates surveyed, spanning from baby boomers all the way through to millennials, men were consistently more satisfied in their careers. “Whereas about 50% to 60% of men across the three generations told us they were “extremely satisfied” or “very satisfied” with their experiences of meaningful work, professional accomplishments, opportunities for career growth, and compatibility of work and personal life, only 40% to 50% of women were similarly satisfied on the same dimensions,” The Harvard Business Review reports. Why are women less satisfied? Probably because they have every reason to be. Women are given less responsibility, less senior roles and less people to manage. And none of this is because women are “opting out”. 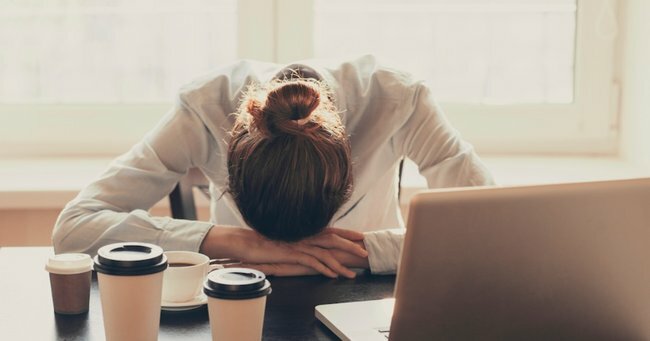 Only 11% of the women surveyed left the workforce when they had children, and the overwhelming majority of Gen X women (74%) were working not only full time hours, but a whole lot of overtime too, averaging 52 hours a week. To understand what does explain this gap, you have to look at the stats for the men. Not just what they were doing, but what they were thinking. Only 2% of men took more than 6 months off to care for a child across the Baby Boomers and Gen X. Which makes sense when you consider the fact that 86% of Boomer and Gen X men expected their partners to be the primary child carers, and the majority of Gen X and Boomer men expected that their careers would take priority over their wives’ – which is exactly what happened 71% and 74% of the time respectively. Meanwhile, Gen X and Baby Boomer women expected they’d have relationships where their careers took equal priority, and they expected to share childcare equally with their husbands, neither of which actually happened. There’s this idea that if you’re a powerful, ambitious, successful woman, you probably want a man to match. Every Amal deserves a Clooney. That sort of thing. But trying to date within your league is just about the worst thing you can do for your career. If you want to be successful – like sitting on boards, job title with a ‘Chief’ in it successful – you don’t just have to work hard. You don’t just have to work overtime. You have to work all the time. You have to use every possible chance you get to network and make connections. You have to stay out at those corporate drinks just as long as everyone else. You have to play those weekend rounds of golf. Because plenty of those high level business decisions and big opportunities arise outside of the boardroom and behind closed doors. It is so much easier to access those chances if you’ve got someone you know is going to be home to take care of your personal life, so that you don’t have to worry. In an ambitious couple, the chances are the one who’s allowed to stay out late for drinks, who’s allowed to not pick the kids up, is going to be a man. After all, they have several thousand years of history on their side. All of this backs up exactly what Annabel Crabb has written in The Wife Drought – that without a partner who is focused on the home, it’s bloody hard to be as dedicated to your career as you need to be to reach the very, very top. 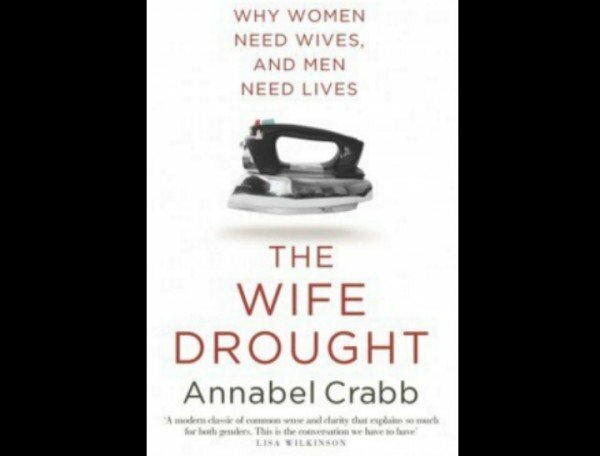 Annabel Crabb on why men needs lives and women need wives. Given the gender-pay gap still exists, you could argue that each individual heterosexual couple is making a rational economic decision when they prioritise a husband’s career over his wife’s. Odds are, he has the potential to earn more than her. But that kind of decision making is exactly the sort of thing that is contributing to the gender pay gap in the first place. And it doesn’t even look like it’ll get better with the next generation. Two thirds of millennial men surveyed think that their partners will be the primary care givers when they do have children, and half of millennial men think that their careers will take priority over their wives’. The sad reality is, like Gen X and the Baby Boomers before them, these high achieving men will probably find their expectations are met – meanwhile, if their wives are equally ambitious, they’ll end up disappointed. Over at Slate, Jessica Grose’s solution is to follow the wise words of Linda Hirshman and “Marry down”. 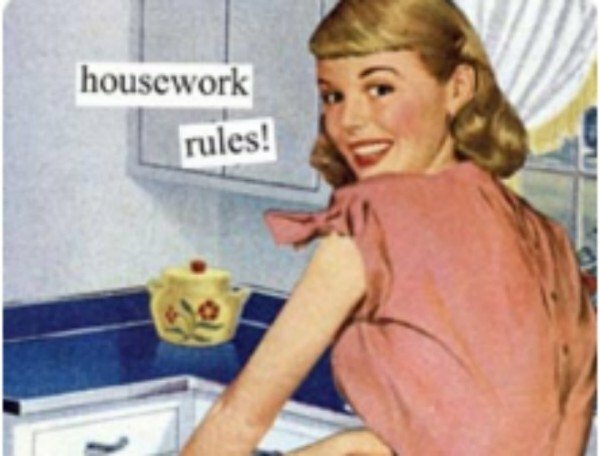 It may seem unfair but having a high flyer in the family does not make for an equitable division of household labour. So if you want to be that high flyer, ladies, perhaps you should make your nest with a man who is a little more down to earth. Because according to the stats, a Harvard Business School MBA has a 66% chance of letting you down.